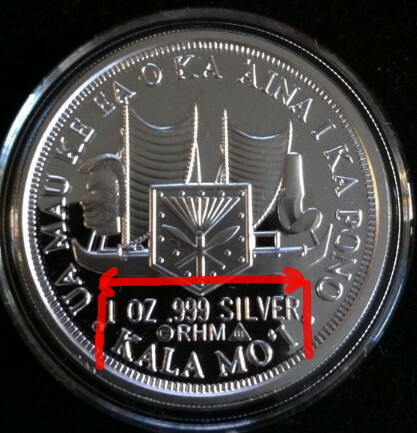 I discovered a new variety in the 1993 King Kamehameha Sovereign 1 oz silver issued by the Royal Hawaiian Mint (RHM). This is a Large and Small Weight/Fineness variety. 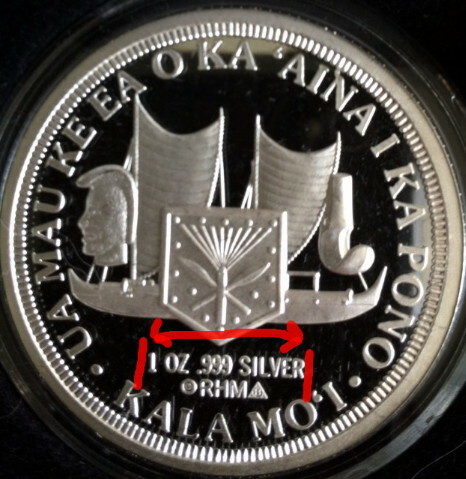 I surmised this new variety by examining a handful specimens from the individual 1993 Hawaii Sovereign Proof (single coin in silver box), 1993 Overthrow Sovereign Set (two coins in in blue case), 1993 Official Hawaiian Sovereign Gold & Silver Proof Set, and a few loose coins (no box or COA). First things first. 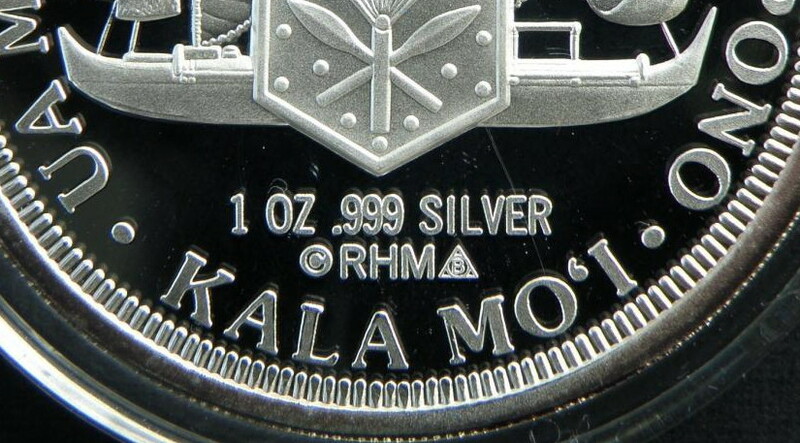 The 1993 Hawaii Sovereign Proof in silver box comes with the Hawaiian Sovereign cardboard COA or the Overthrow Dala cardboard COA. 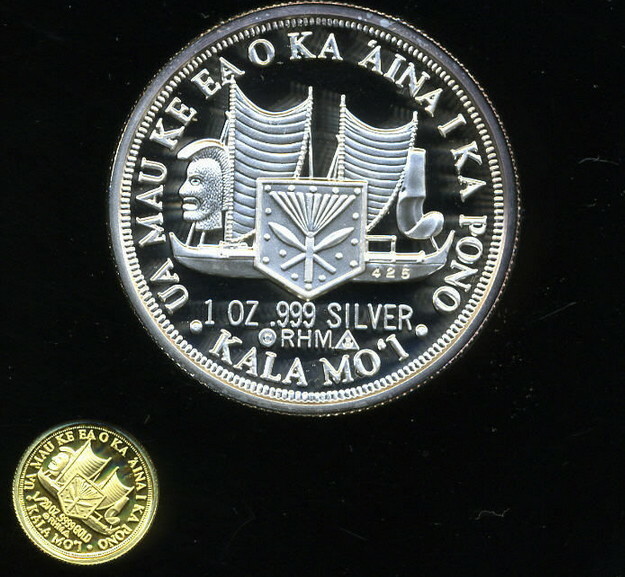 Below is a large variety specimen from the 1993 gold/silver Sovereign set. Also note the serial number on the canoe to identify its pedigree (what proof set it came from). Picture of small variety below….